Art by Michelle Pearson: Meet Sheridan Sheep. Set of three canvases. Two character sheep created myself on the hills on North Devon. Meet Sheridan Sheep. Set of three canvases. 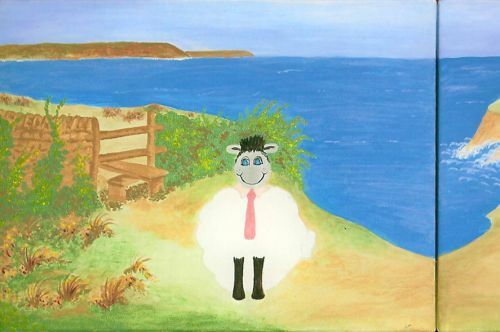 Two character sheep created myself on the hills on North Devon.